Antonio, thank you very much for taking your time and effort to do this interview. You were born in Milano. I would like to ask you what were some of the early influences in your life that guide you later to create so dark atmosphere and very unique music in Jacula? I was not born in Milano but in the Marche Apennines….wolves, wild boars, foxes, owls, magic fogs, witches, gnomes and the old house of magician Parthenzy which I visited every night from 14 to 16 and from 20 to 23 to see the “Invisible Force”. When and how was Jacula born? Why the name Jacula? 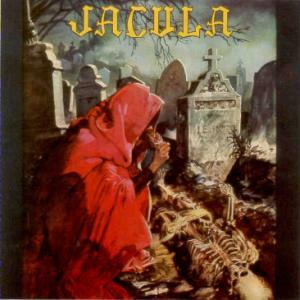 The Band Jacula was born in 1969 in Milano after meeting Travers, draftman of the Jacula Comics, a really nice person.Travers introduced me in London to make first album recording. In Cauda Semper Stat Venenum is the name of your first album. I would like to know if you could tell us some of the strongest memories from recording and producing this LP? Where did you record it? What can you say about the cover artwork? How many pressings were made? Can you tell me what is the concept of the LP? In 1969 we signed with a little label company who gave the label code AR 299. Gnome Record had a little private studio in the outskirts of London, where we could realise “In Cauda Semper Stat Venenum”. The six compositions were written based on some Franz Parthenzy melodies did during effects of trance mediumship. I really love the 6 sketches on the back cover which represent the six songs of the album. This album was pressed in a strictly limited edition, I guess around 200, and gave to religious sects. The concept of In Cauda was born through Spiritual Seances. 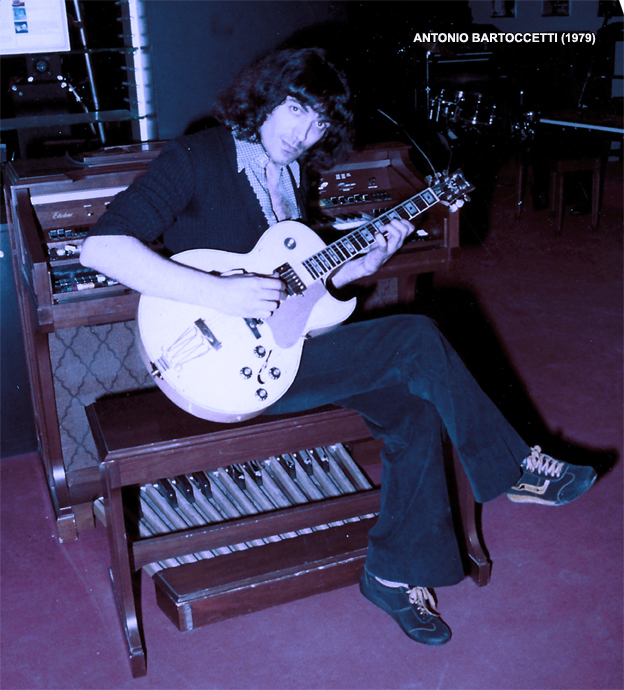 Tardo Pede in Magiam Versus is your next LP from 1971. The atmosphere on this one is again mind blowing. Would you like to share with us the experience you had from producing this LP? Tardo Pede in Magiam Versus is a 1972 album. We recorded it in Milano (supported by Gualtiero Guerrini and by a mystical congregation) because in Angelicum Studio there was a church organ who played with a real “ritual” feeling. The band was: Doris Norton (synthesizers, keyboards, effects), Charles Tiring (church organ) and me (all other instruments). Did Jacula performed live and where? If you have any interesting stories from concerts, I would love if you could share some of them with us! The band played only one time in Milano for Tardo Pede promotion. We were in 1973. Ticket was really expensive, only 35-36 paying spectators, no lights except of a big candle. The band later played several times in castles for promotional events. Now Jacula could be on stage (except Tiring who died) ….. the cachet is eur 20.000 circa. This year you have released a brand new album called Pre Viam. How was it to record again music of Jacula and what is in your opinion the main difference between music of Jacula and Antonius Rex? 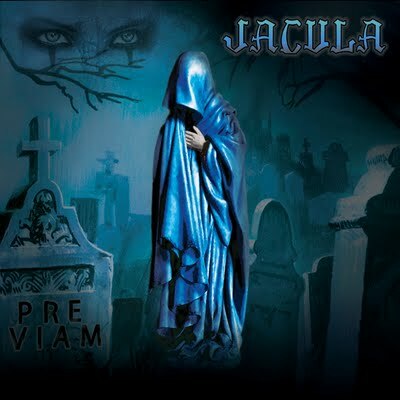 After 43 years, “Pre Viam” maintains the thread of mistery, the fog over the lake, the gothic girls suicide, the occult presences (there are 468 micro-demons around the world ready to possess you), the esoteric charm of the two previous albums. In the meantime Doris Norton abandoned Antonius Rex and Jacula, replaced by my son Rexanthony, for sure a great keyboard player. There was also a new executive producer, Pino Pintabona who had the role to try to avoid big distances between the old sound of Jacula and the new sound… and he reached the goal. “Pre Viam” satisfied me and our fans. Differences from Antonius Rex? For sure Jacula is more mystical, more biblical, more gothic, more melancholy, more trascendence … Antonius Rex has various influences, is harder, is doom and prog too. Van Der Graaf Generator… nowadays Dream Theater are the best. 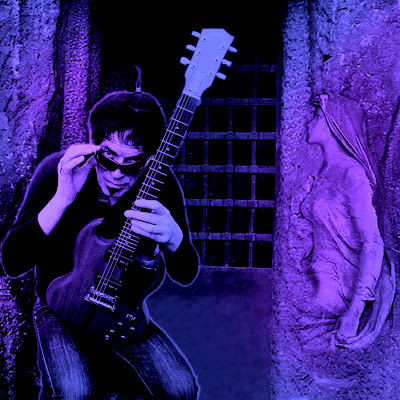 All Jacula album titles finished and will finish with a word beginning with “V”…the next one will read “Mystic Voices”. In cauda was simply released in 2001, it may be true they wrote some of the songs back in the day but it never has been released in 1969... The band wasn't even formed at this date. There's a lot of people who searched explanations about this record, and there's answers that has been found, nobody has ever seen the original LP, nobody own it, the band was totally unknown in 1969, and most of all, comparison with Van Der Graff Generator's "Pawn Hearts" (1971) reveals that "In Cauda"'s lyrics are none other than an italian translation from the English band. Putting to comparison the release dates you should draw quite an obvious conclusion. That's the most brilliant musical hoax ever. What is the problem with my previous comment? Why have you deleted it? I think I didn't make any offense, I only said that I'm surprised you didn't made the question all Jacula's fans (like me) want to know. this Anonymous is full of horsebleep. I bought the cd of the first lp for my radio show back in the mid 90s off of a dealer who actually had the original vinyl. 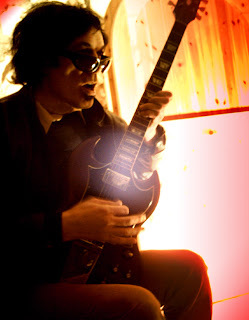 Psychedelic Pete. 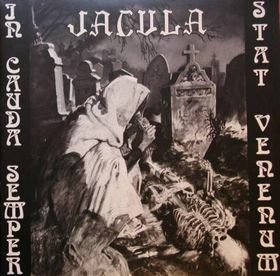 Do you (or know anyone who) have the original 1969 "In cauda semper stat venenum" LP? Please make photos to it and post them here, you can be the first in the world and History who show us the existence of this album. Guitar distortions on ICSSV album still didn't exist on 1969. (1) None of the "disputed" albums ("In Cauda Semper Stat Venenum", "Neque Semper Arcum Tendit Rex" and "Praeternatural") sound like they were recorded between 1969 and 1980. They are modern progressive metal, complete with programmed drums. (2) None of these albums sound anything like the LPs that were actually released in the seventies ("Tardo Pede In Magiam Versus", "Zora" and "Ralefun"), none of which have any metal elements whatsoever. (3) They do, however, sound very similar to one another — probably because they were recorded right after one another in the early noughties. (4) Not a single copy of any of the disputed albums has ever been offered for sale or is in the possession of any known collector. This simply *never* happens, no matter how rare a rock LP. A "white label" "original" copy of "Tardo Pede…" was once offered, at a huge price, on eBay. When I contacted the seller, he said that he was a friend of the band and had no idea whether what he was selling was authentic. He sounded very embarrassed about the whole thing. (5) The band later changed their story about the white label, claiming it was remixed and repressed in 1981 in the Ukraine by a band associate. The Ukraine? It was part of the communist USSR. You couldn't simply have wandered into a studio and pressing plant with a tape of an obscure Western underground band and asked them to run off 100 copies. (6) I have another mutual friend with the band, who has described them as "compulsive liars". (7) Charles Tiring was supposedly 68 when he recorded "Tardo Pede…" (and had allegedly just married an 18-year-old). According to the band, he died in 1979 (in mysterious circumstances, of course). Yet the band credited him as keyboardist on the (supposedly) 1990 recording "Magic Ritual", indicating they can't keep track of their own claims. (8) Drummer Albert Goodman was supposedly an English nobleman with his own castle; he was allegedly murdered in Slovenia (which didn't exist at the time) in 1978. 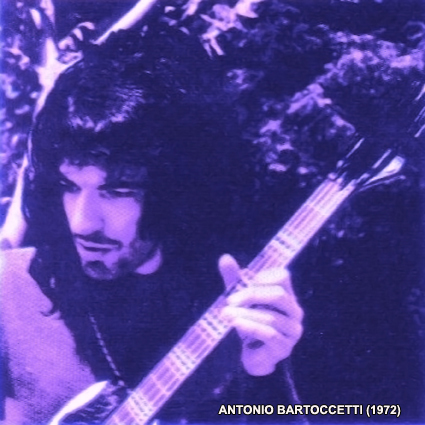 Allegedly he had contacts with the Italian branch of Vertigo, which was planning to issue "Neque Semper…" back in 1974, but they refused because they considered the cover and the lyrics to "Devil Letter" too controversial. The cover isn't controversial and occult rock was huge at the time, so this seems extremely unlikely. (9) "Praeternatural" credits Doris Norton with "Fairlight CMI". How would Bartocetti and Norton have got their hands on such a rare and expensive piece of kit back in 1980? (10) The final smoking gun: Norton's solo album "The Double Side Of The Science" (1990) includes a discography in its booklet, complete with inflated collectors' prices for all her releases. None of the disputed albums is mentioned (and neither is her non-existent solo "debut" "Under Ground") as the band hadn't made them yet.